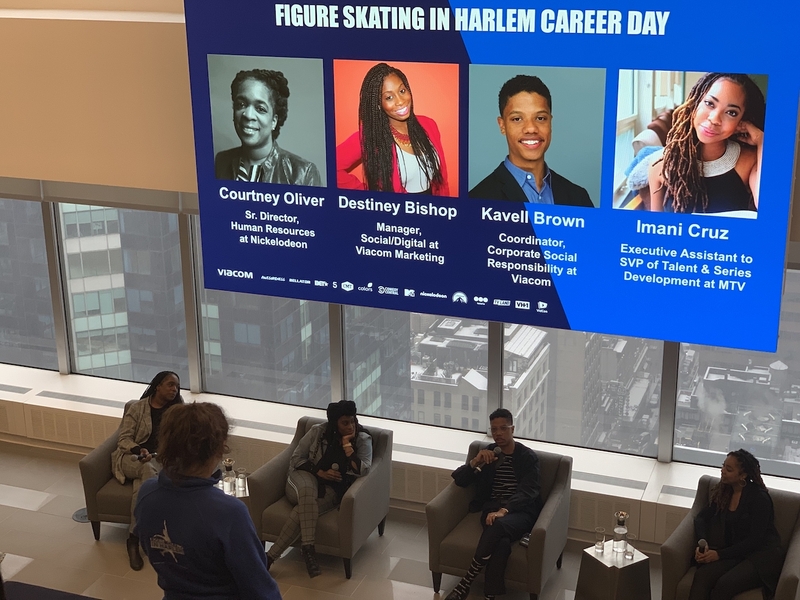 Viacom, in partnership with The BEAT (the African American Employee Resource Group), hosted a career day for over a dozen girls from Figure Skating in Harlem (FSH). 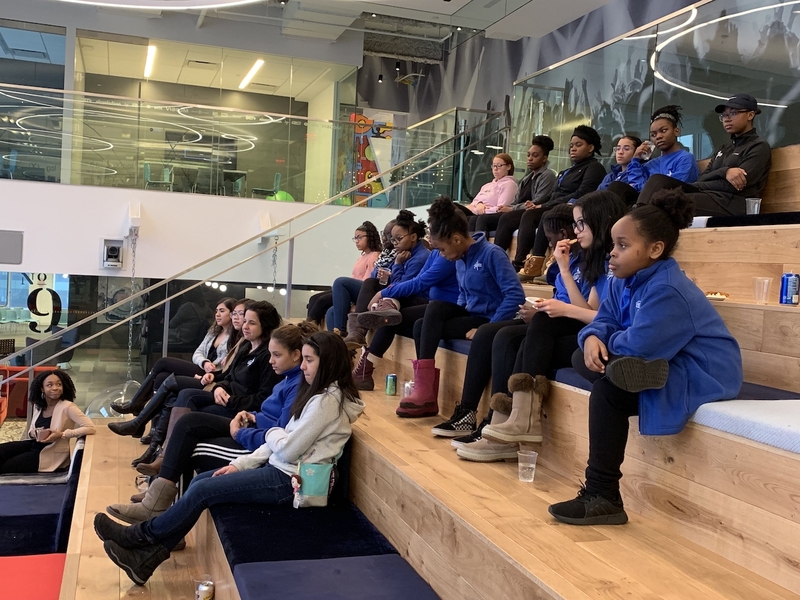 The girls, grades 7-11, were exposed to the world of media and entertainment and a peek into Viacom’s culture. The event was all part of Viacommunity’s (Viacom’s corporate social responsibility arm) All Good, All Year Initiative. All Good, All Year aims to engage employees each month with at least one volunteer event. In honor of black history month, February’s event aimed to show FSH girls what a career in the media industry looks like. FSH was founded in 1997 as a response to a direct need in the Harlem community. The organization established itself as a safe space for young girls of color to achieve academic excellence and physical well-being through the lens of figure skating. Today, FSH has served hundreds of young girls over its impressive tenure of 20+ years, and has stayed true to its tenants of developing leaders. FSH’s graduating seniors have a 100 percent higher education attendance rate and attend colleges like Brown University, Spelman College, Georgetown University and Boston College. FSH believes that exposure is a key part of the development of youth especially those from marginalized backgrounds; believing in the adage that any seed that is given sunlight and water can grow. Together, the Viacommunity team and FSH staff hosted a career day which included: a panel of young professionals, a speed networking portion where interns and full-time employees served as mentors, a spontaneous tour of the building's Nickelodeon floors, and finally a quick surprise run-in with a cast member from MTV’s Wild ‘N Out Justina Valentine, in the Viacom lobby. During the panel discussion, myself, alongside Destiney Bishop from Viacom’s Social and Digital Marketing team, and Imani Cruz from MTV’s Talent & Series Development team provided testimonies of our career paths and sound revelations on how to navigate the winding pathway to success. Moderator, Courtney Oliver, asked us riveting questions about cultural identity and navigating corporate spaces as a person of color. We also discussed the challenges, rewards, and tangible steps to prepare for entering the media and entertainment industry. 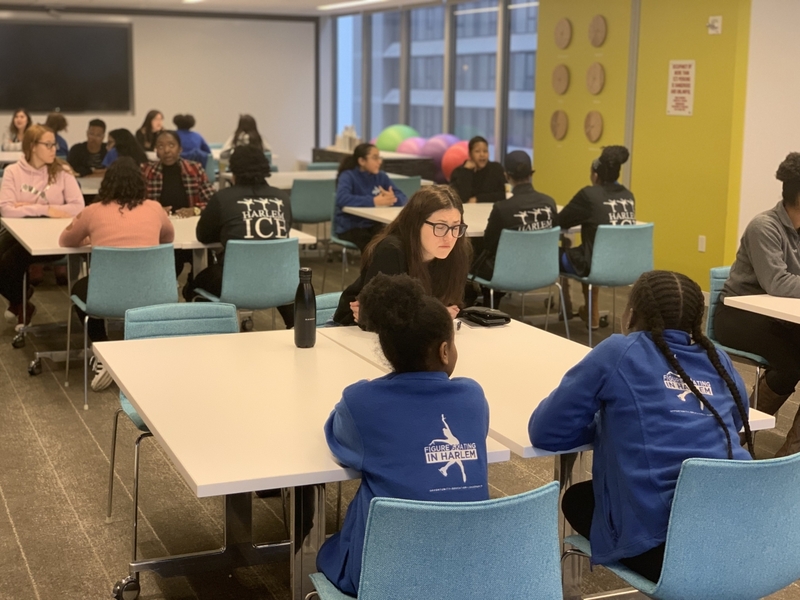 After the panel discussion, the FSH girls transitioned into a more intimate speed networking hour, where they were able to further connect with a diverse group of Viacom employees and interns. The room was full of laughter, excitement, and of course snacks. 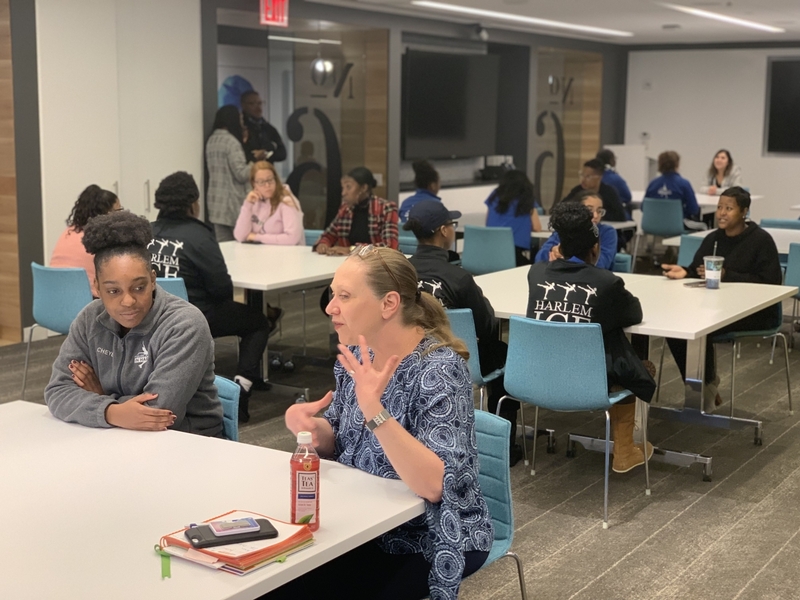 Mentors shared personal nuggets about their departments and what it looks like to work within their respective functions at Viacom. The FSH girls shared stories of being on the ice and the electrifying feeling of performing. Additionally, they shared experiences of competing and winning in elite competitions around the nation, where expectations of them were often lower than warranted. This event proved that mentoring is a reciprocal experience where both sides of the table leave edified. 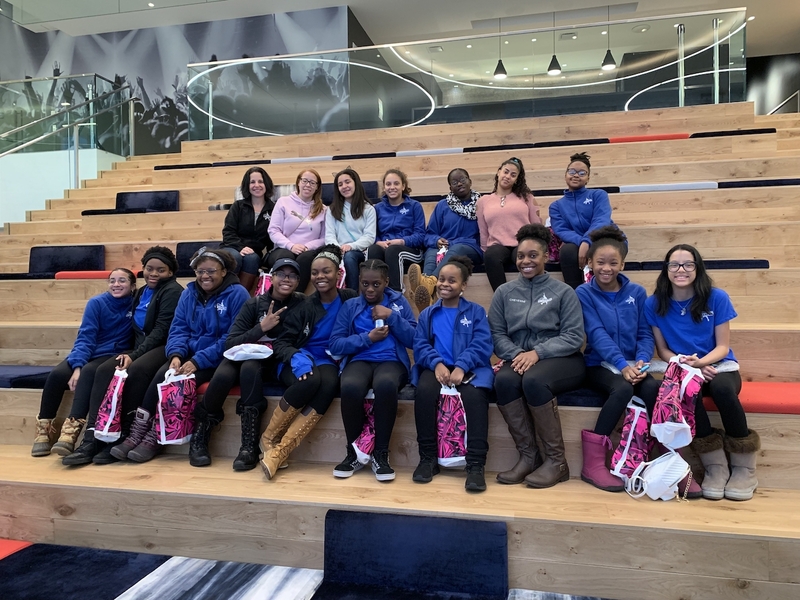 To conclude Career Day, Creative Associate Art Director of Nickelodeon's Home Goods Department, Gerald Yarborough, surprised the girls with a tour of the Nickelodeon floors. Gerald walked them through showrooms of iconic Nickelodeon merchandise, which live on the shelves of Target and Walmart. Gerald also showed the girls animators working on computer graphics for various Nickelodeon programming. He went onto explain the creative process of how consumer products come to life and end up on shelves around the world. While on the tour, the FSH girls took selfies with iconic pieces like the Double Dare Podium, the red couch from Blue Clues, and a life-size lego Spongebob. 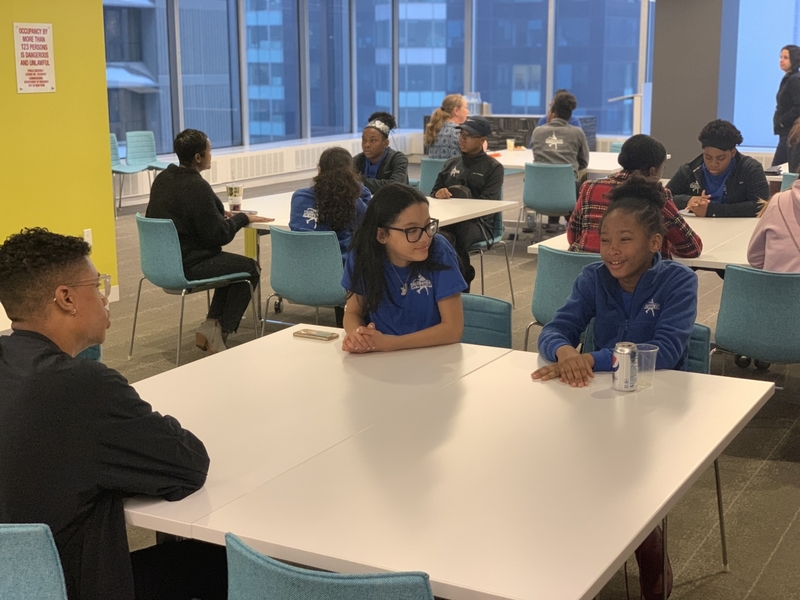 At Viacom, we strive to inspire the next generation of creatives, executives, and change-makers by providing fun and authentic experiences where both our employees and members of the community can come together. Our goal is to empower organizations like FSH to help make our world better, amplifying their impact.